This seat has a comfortable backsupport and a comfortable seat. 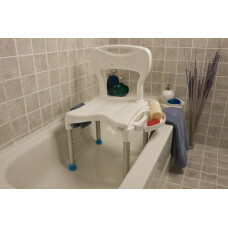 Optional armrests can be addedto one or both sides for ease of use. 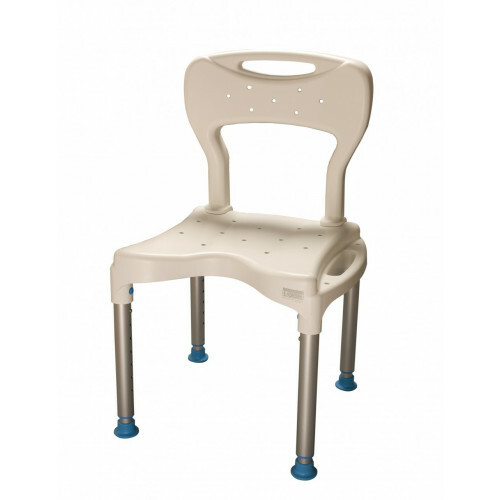 Seat Height 15" - 21"
Seat Dimensions 20½" - 16½"
Seating Area 15" x 13½"
Height w/ Backrest 30½" - 36½"